Tone color or voice tone are the terms used in the definition of the voice types. In order to understand the tone or tone of voice, we need to know how the speech and hearing process is technically occurs. This is because we can only understand the tone color or tone of voice used frequently in the field of dubbing. We know how we hear and how the voice is formed in humans from all of the things that we learned in primary school. The air passes through your vocal cords while breathing. The air passing through the cords does not vibrate them. Because these cords are attached very loosely from one side of the pipe to the other side of the pipe. But when you want to talk, these cords are stretched. The air coming out of your lungs vibrates the cords and creates sound waves. Your lips and teeth are used to convert the sounds of your vocal cords into words. While hearing, the sound waves strike our eardrum, vibrate three ossicles in the middle ear. The resulting vibrations move in the fluid in the spiral-shaped inner ear known as cochlea and move the hairy cells in the cochlea. These cells detect movement and convert it to chemical signals for the hearing nerve. After this, the auditory nerve sends the information to the brain with electrical impulses and these pulses are perceived as sound in the brain. Humans hear the sound vibrations between 20 (Hz) Hertz and 20 (kHz) Kilohertz. The tone of voice is also like our fingerprints and the tone of each being is different. The reason why people’s voice tones are different is the numerical difference of their speech frequency as well as the difference of their lips, tongue, teeth and mouth. But only in this way, we can create different tone colors. Not only do they differentiate our voices, but also our emphasis on words (intonation) and body and facial expressions are among other things that make our voices different. After making these general definitions, let’s discuss voice-over and dubbing artists. 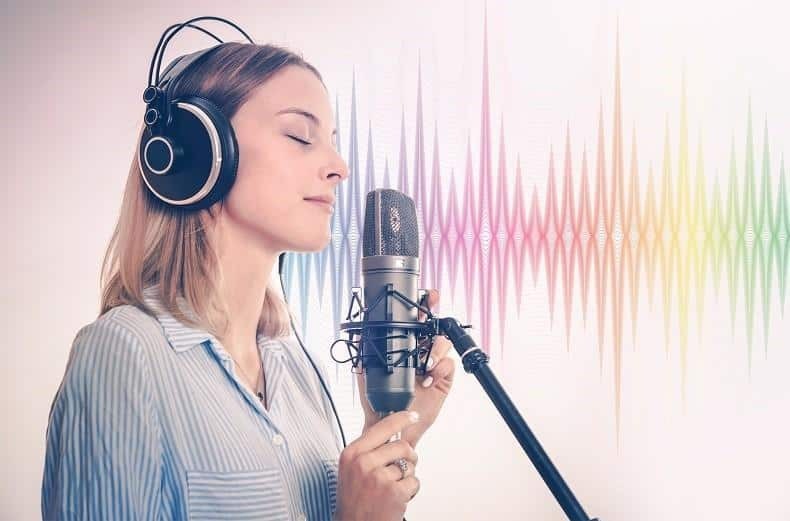 In Turkey, hundreds of domestic and foreign voice-over talents are in the voice bank of many voice-over and dubbing agencies. The color of each one is very different from the other. So how do we choose? If you are going to choose a suitable voice for your project then firstly you should like the voice. Have you ever wondered why people like what they like and what do they like? Well they like what they like according to a pattern defined in human creation. The name of this pattern is golden proportion. We choose and enjoy everything according to this golden proportion in life. As everything has a charm (attraction), the tone color and tone of voice are attractive to us in terms of the defined golden proportion and we like it more than others. The intensity is not related to the frequency of the sound but with the amplitude. High or low sound is defined as the intensity of the sound. Please note that tone colors and tones are something that differs us from the others and they are our richness. We all have different kind of voices. We think that these terms should be known in the media production sector. Because our strength is the voice. Thank you for reading this.